The right blend for better math learning. 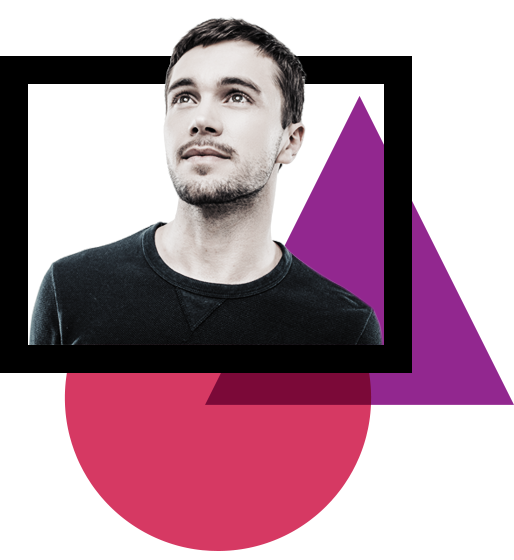 Our brand of blended learning delivers both group and individual learning. 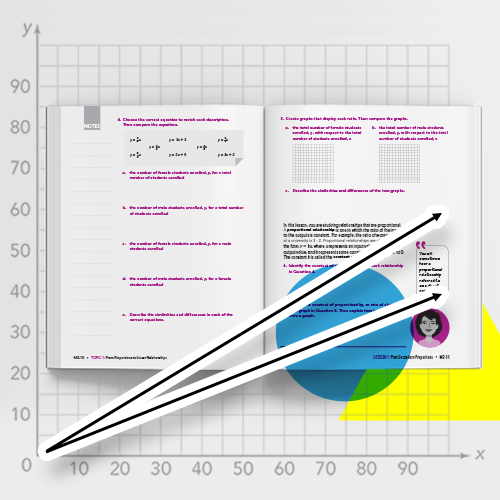 Our consumable texts are designed to help students “learn by doing” in a collaborative classroom, while our MATHia software continues that learning, serving as a personal coach to help students learn on their own. Better math learning requires better resources, for students and teachers. 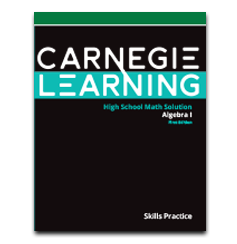 As a comprehensive mathematics program, the High School Math Solution includes everything students and teachers need. Consumable Student Edition: The primary classroom resource. The consumable Student Edition is a record of student thinking, reasoning, and problem solving. It is intentionally designed to create mathematical thinkers who are active learners and active participants in class. Student texts are available as printed texts or eBooks. MATHia Software: 1-to-1 math coaching technology. Skills Practice: Designed for skill-by-skill growth. 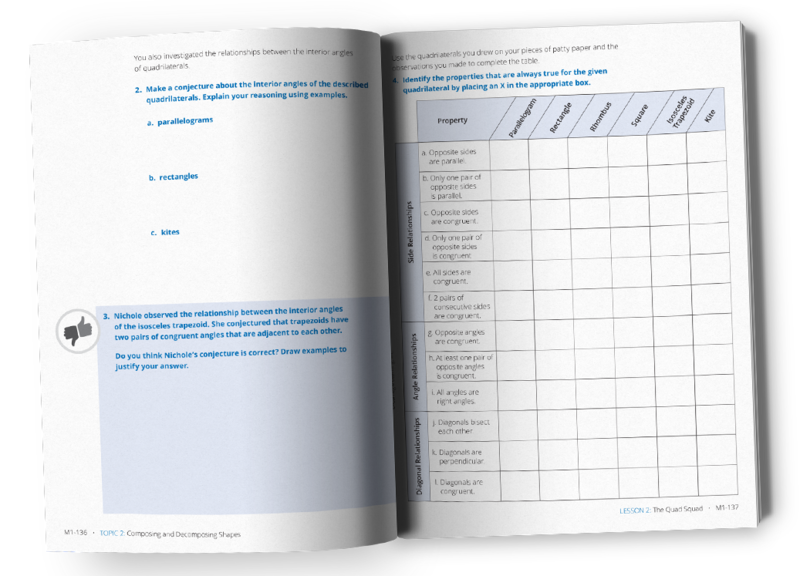 Teacher's Implementation Guides: The definitive resource for planning and facilitating student learning. 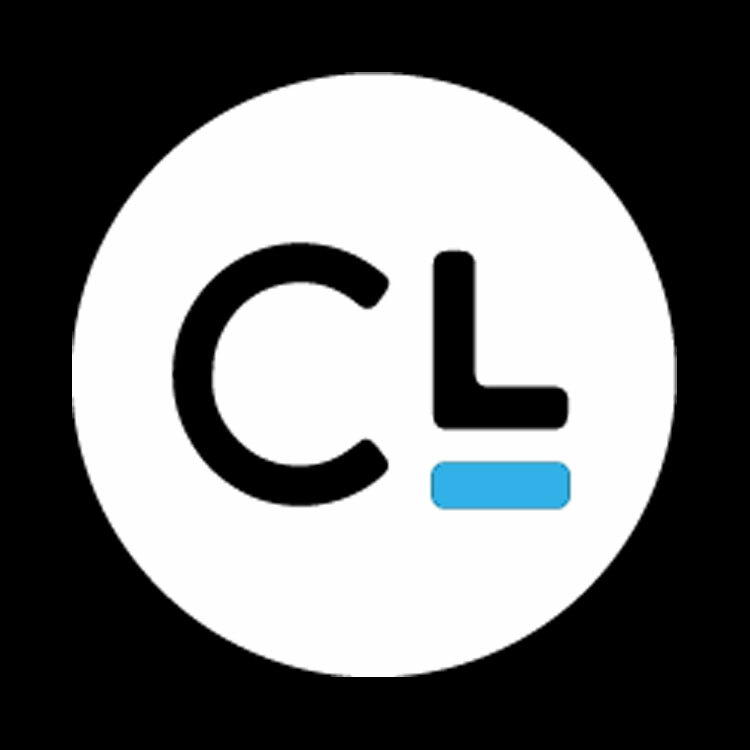 MyCL Portal: Where you manage classes, access all texts, and pull real-time reports.  MyCL portal provides a simple-to-use platform where educators and administrators access all of their Carnegie Learning products and resources. MyCL empowers teachers to access all text materials, customize curricula sequences, manage classes and student accounts, and access real-time reports with actionable insights into how well students are progressing in each MATHia workspace. 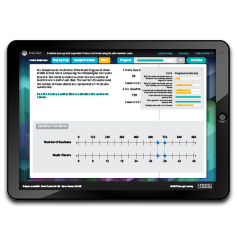 Assessments: Aligned to every topic, all customizable online. 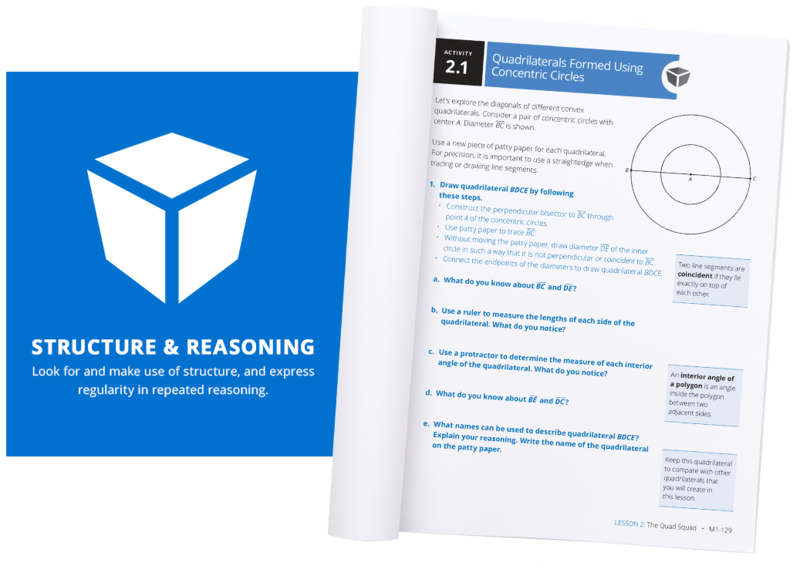 The Standards for Mathematical Practice (SMP) are woven through every page, lesson, activity, and workspace in the High School Math Solution. Through problem solving, writing, discussing, and presenting, students make sense of the math they are learning and show their reasoning as they move through the program. 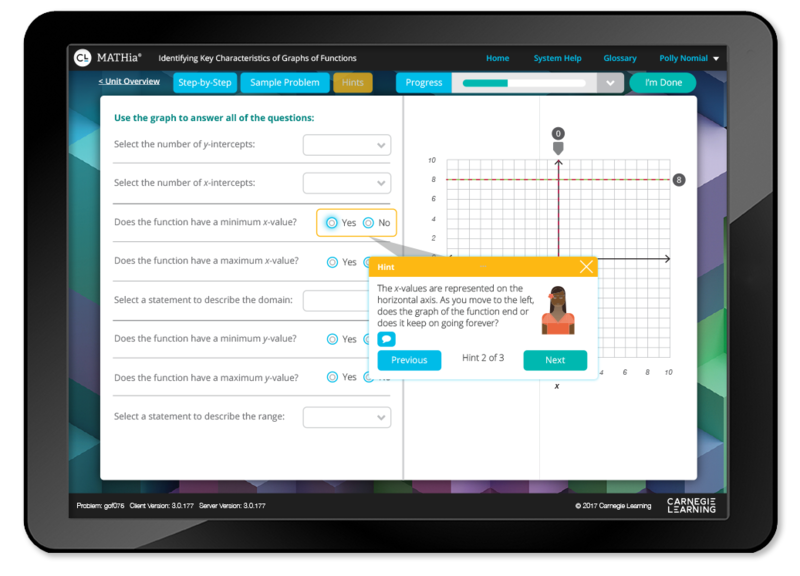 MATHia mirrors a 1:1 math coach better than any other learning platform, providing contextual hints, just-in-time feedback, and interactive examples. It focuses on both the answers and the steps of the learning process that lead to the answers. That way, MATHia understands how students are learning over time, and delivers focused instruction along the way. MATHia’s goal isn’t for students to just do math — it’s designed to work with them until they get it. 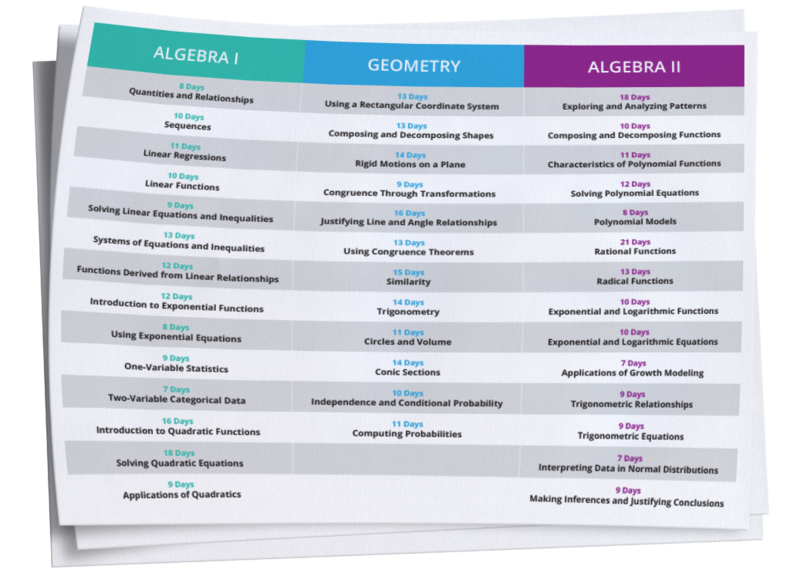 Our High School Math Solution is flexibly paced so teachers can be confident they can realistically cover everything they need to in the school year. The course sequence taps into students' prior knowledge and connects new concepts and skills to what they have previously learned. 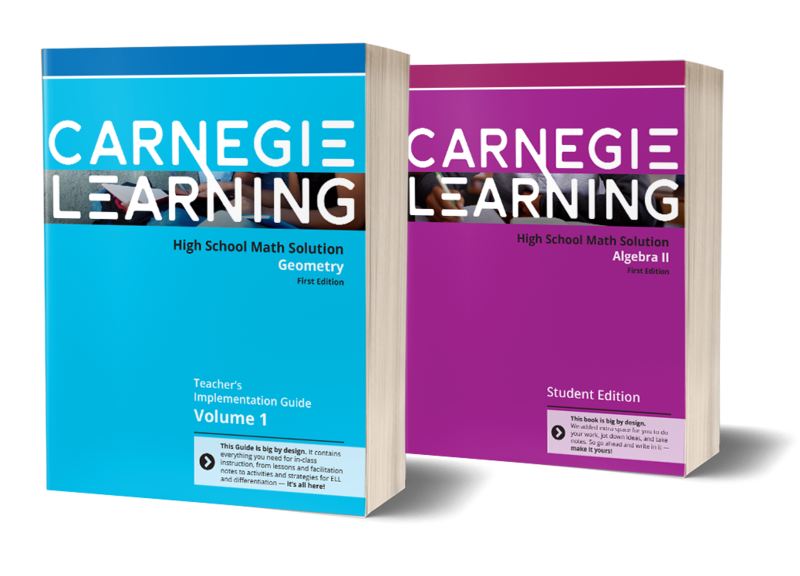 The High School Math Solution covers the most critical content aligned to national and regional mathematics standards. The High School Math Solution makes math learning approachable to everyone. 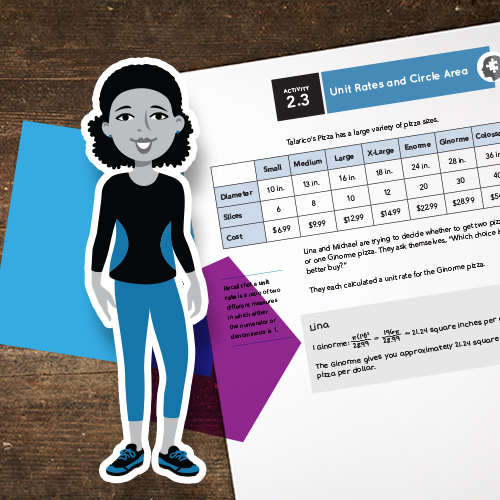 Built-in facilitation notes, planning support, and reporting dashboards ensure all teachers—first year, Carnegie Learning newbies, and veterans—are comfortable and set up for success. The consistent lesson structure helps students understand where they are in the lesson and sets expectations for each activity. The format of each lesson parallels our instructional approach—Getting Started, Activities, and a Talk the Talk. Family resources support math learning at home and highlight how math can be used in the future. 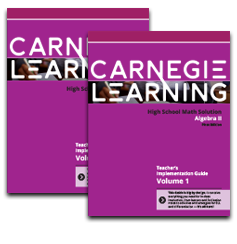 Through each step of the instructional approach, from book to software, and from practice to assessment, every aspect of the High School Math Solution was thoughtfully designed to grow students’ conceptual understanding and skill mastery of the math.  The Solution helps students move beyond specific examples to make generalizations and apply their math knowledge in their real lives. 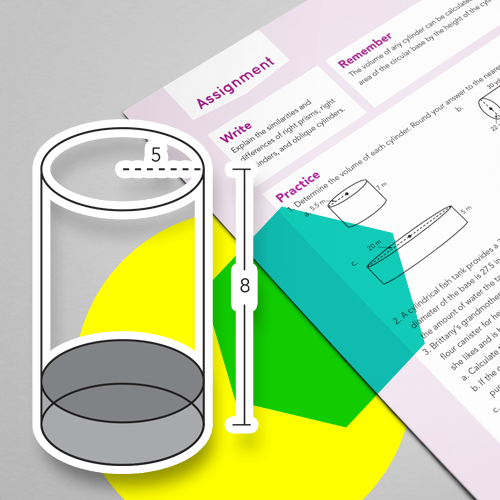 Getting Started activities engage students and show them how math topics connect to their world. Worked Examples and Peer Analysis problems help students develop understanding of new concepts as they walk-through and solve complex problems. Additional activities, homework assignments, and assessments ensure students demonstrate what they have learned. 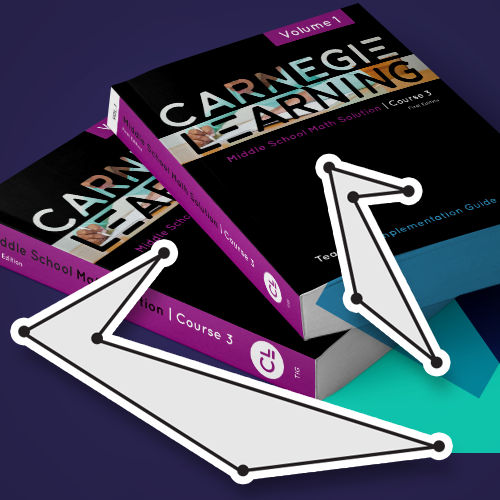 Frisco Independent School District has used the Carnegie Learning Math Solution with Professional Learning services for four years, and the change has been significant. Chantelle Elliott, the District Math Coordinator, says, "The kids have a lot more stamina and are willing to stick with something a bit longer. They're not so reliant on the teacher, but look to each other for information. They not only have the mathematical skills, but problem-solving skills too." In 2016, 91% of Frisco ISD students met state standards on the STAAR exam. 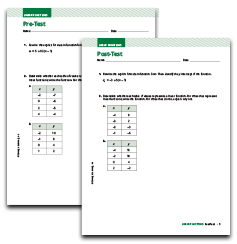 The entire High School Math Solution was built to be in alignment with state and national core standards. 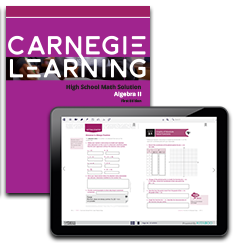 The brand new Carnegie Learning High School Math Solution uses the same design and innovation as our Middle School Math Solution (which was ranked the #1 blended Middle School solution by EdReports.org). See what teachers are saying. Check your email to explore the the High School Math Solution digital sampler.